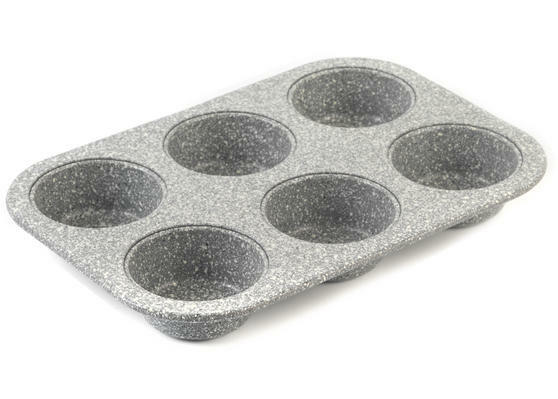 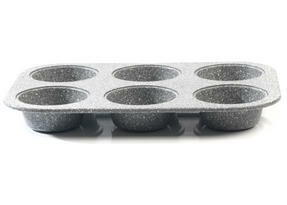 Make delicious muffins in this Salter muffin tray with 6 muffin cups so you can make enough for all your friends in chocolate, vanilla, blueberry or any other flavour you fancy. 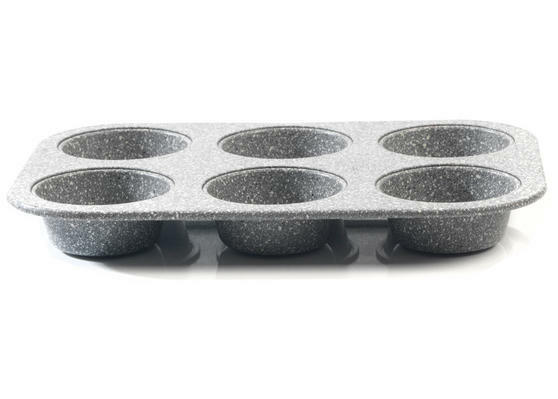 Made from carbon steel it has a grey marble non stick coating so you can cook without muffin cases, simply give the tray a light wipe with butter or oil, spoon the mixture in and pop it into the oven. When finished, wash with warm soapy water and a soft cloth to preserve the finish, then decorate and eat your muffins. 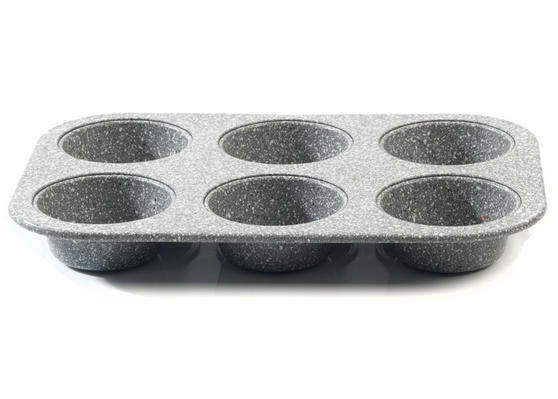 From the Salter marble collection, this 6 cup muffin tray is high quality with a classic finish which will look lovely in your kitchen. 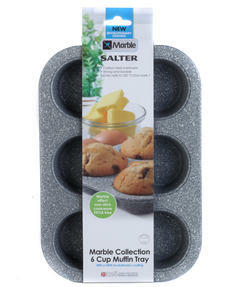 The superior non stick marble coating ensures that the muffins will easily be released when cooked without sticking or breaking. Oven safe up to 220°c / gas mark 6, the tray measures approximately 26.5 x 17.5 x 3 cm which is a great fit for most domestic ovens. 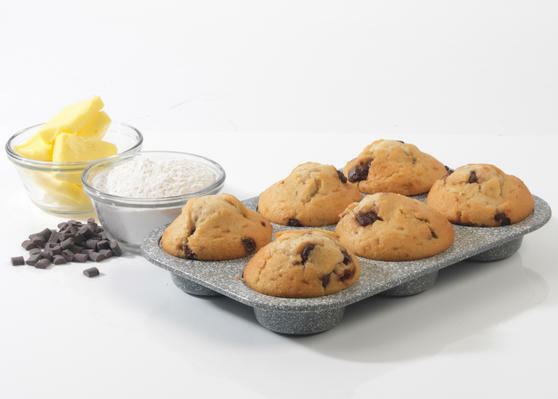 The tray is wonderfully easy to clean as the non stick coating ensures leftover bits will simply wipe off with warm, soapy water.